Business insurance is perhaps seen as a necessary pain. It’s therefore no wonder that for some it’s only when they may need to make a claim they realise that they never paid attention to the details of the policy and perhaps don’t have the adequate cover. So, it’s important to spend a little time checking what you need and what your restaurant insurance policy. Most of us will be familiar with the essential areas of cover included in most policies, such as cover for buildings and contents. They will also provide public and products liability, which protects your business in the event of the public being injured or their property damaged. This is obviously invaluable when the business is centred around providing a service to the public. 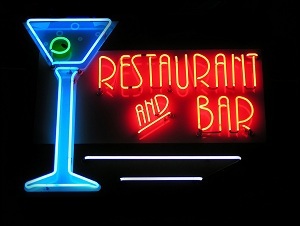 However, some restaurant insurance policies offer unexpected protection as standard. For example, loss of liquor license covers against the depreciation in the value of the premises and any loss of profits following the loss of the license from circumstances beyond control. This could be if the local council decides to take away licensing rights for businesses in an area. Also, cover for damage to fixed glass and sanitary fittings, loss of money and personal accident and assault, can prove invaluable when needed. Plus, some insurance providers automatically increase cover around seasonal events e.g. around the summer period and Christmas when the restaurant industry’s profits and customer footfall increases. Cover for business interruption may sound unnecessary but when government figures show that the real cost of being put out of action because of a flood or fire could be up to £17,000, don’t take a risk in the hope that it will never happen. Seven out of 10 small firms would go out of business if they experienced a major emergency with over two- thirds having no contingency plans in place to deal with it. While it is important to not pay for something as part of your restaurant insurance that isn’t required, some insurers allow businesses to tailor the policy to their individual requirements. An example of this is commercial legal protection which is an optional cover that protects against legal defence, property protection, employment disputes, compensation awards, tax investigation and VAT disputes, which according to the Federation of Small Businesses are on the rise. This article was presented by Premierline Direct. For more information about Restaurant Insurance from Premierline Direct, visit their website today.